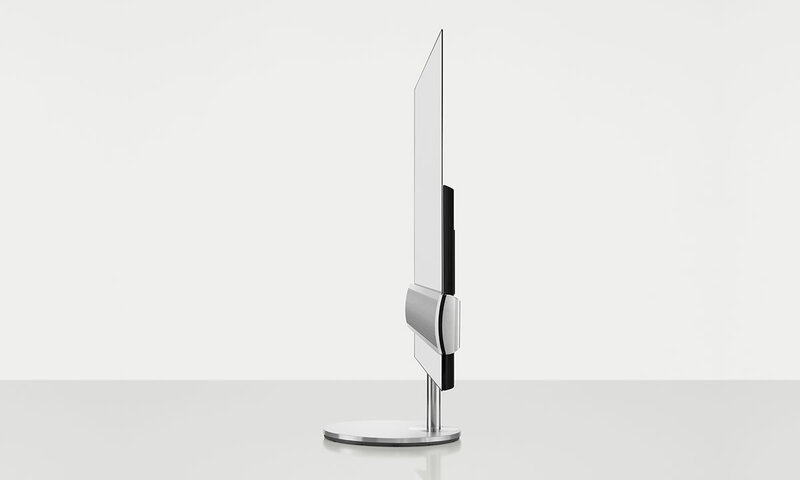 Bang & Olufsen has with BeoVision Eclipse launched its first OLED that takes the spot as the flagship TV in the line-up. It offers the company’s signature features and mechanical finesse; however, some of these things are optional purchases. Eclipse also marks the beginning of a partnership with LG, which is why Eclipse is the first non-LG TV to feature webOS. BeoVision Eclipse exists in 55 and 65-inch sizes. We have the 55-inch model mounted on a motorized floor stand (purchased separately). We published our first impressions of Eclipse after visiting B&O at IFA in September. Here, we also had a chance to talk with the designer Torsten Valeur. Eclipse doesn’t look like other OLED TVs on the market, primarily because of the large speaker system that extends beyond the frame. Bang & Olufsen calls it a SoundCenter. 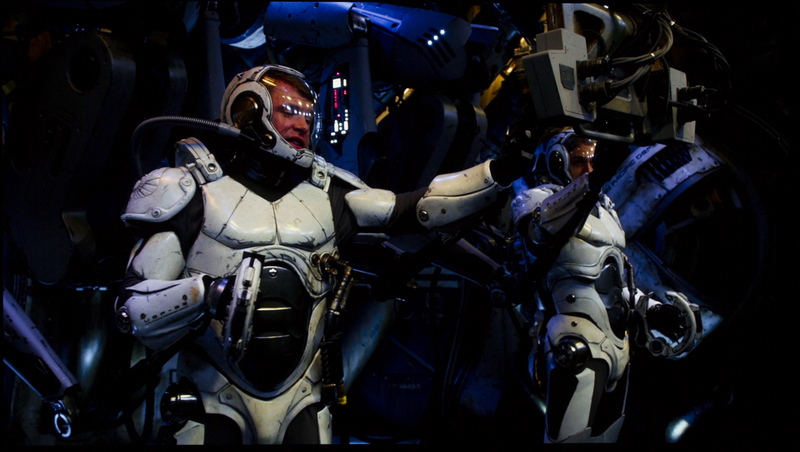 Before we get into that, we should perhaps explain how Eclipse is assembled and brought to life. The TV consists of several sub-elements, including the actual TV, which comes complete as a slightly modified LG C7 model in a separate cardboard box (with a B&O logo on). Bang & Olufsen has developed the SoundCenter, which contains all of the B&O magic, including the advanced sound systems, connection options for speakers, audio streaming, connection to the BeoRemote One, motorized controls etc. As the buyer, you get to decide how the TV is installed. It can be placed on a motorized floor stand or either on a motorized or manual wall bracket. The TV requires one of these options to be installed. The actual OLED TV is based on an LG design and is not much different than the C7 you can buy in stores. However, to make it look cleaner when integrated with the SoundCenter, the back cover looks slightly different from the retail version. Eclipse has to be installed by a B&O installer. It is not something that you can do yourself. The price includes delivery and installation but if you have to move to a new home at one point it gets a little more complicated. The way Eclipse works is with the SoundCenter as the brain of the system. The link to the C7 panel is based on HDMI CEC for on / off controls, audio volume commands, and LAN for two-way communication with the TV. 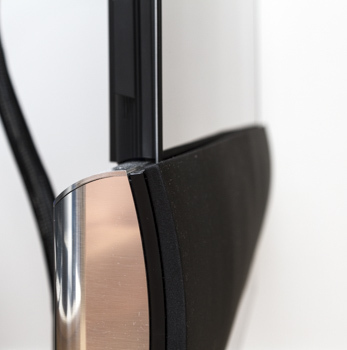 The speaker bar extends beyond the frame and part of the reason for this is to make the transition from LG to B&O smoother and at the same time create a platform that more easily scales between different TV sizes. 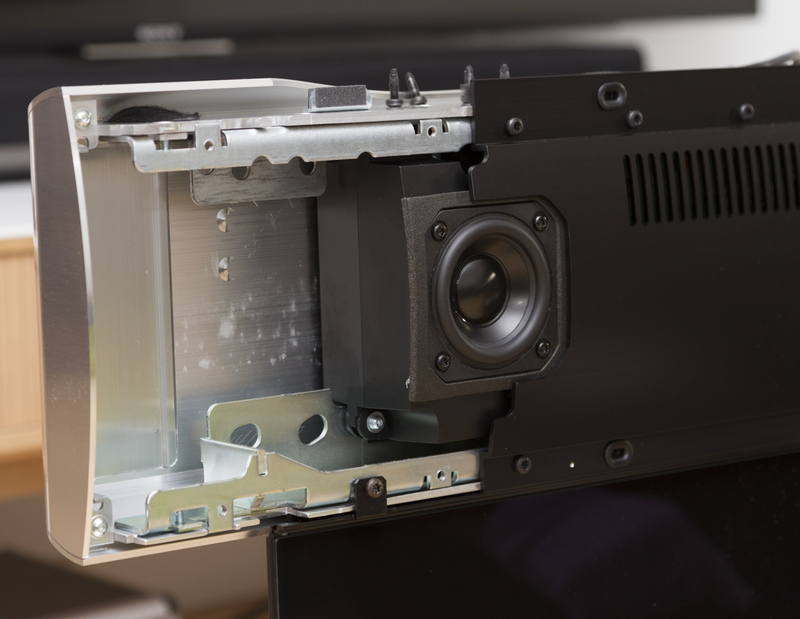 The outer parts also hide the carrying arms for the wall bracket (either right or left), which is why the speaker units have been moved slightly in. Whether you like the design or not, the LG TV on top lacks some of the "B&O feel" that has permeated previous flagship models from the Danish company. The back of the panel is not made from glass (like the LG E7 model) or metal, and the same is true for the front of the panel. 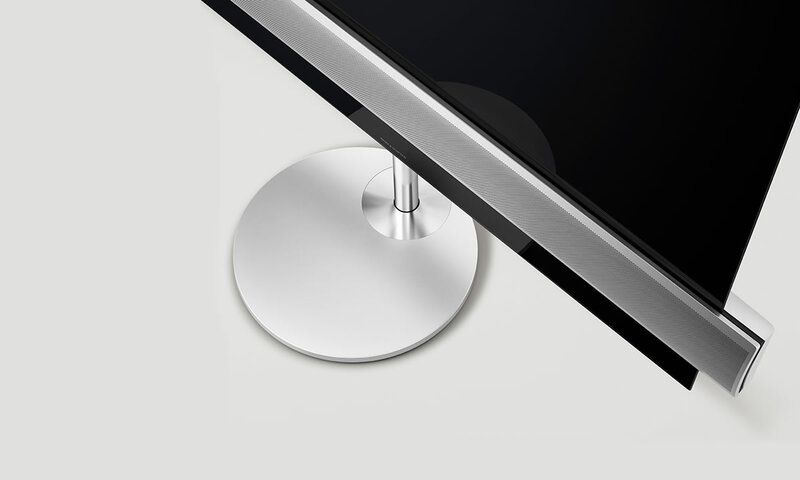 Glass has dominated most previous high-end models from Bang & Olufsen. Still, you have to see and touch Eclipse to fully appreciate it because the choice of material on the SoundCenter and below is classic B&O. The SoundCenter will be available in a selection of fabrics as well as a perforated aluminum front, which is a B&O signature. Our sample came with black fabric, which I personally like, but it will be available in five different colors at launch. If the past is any indicator, we can probably expect more to be added later. 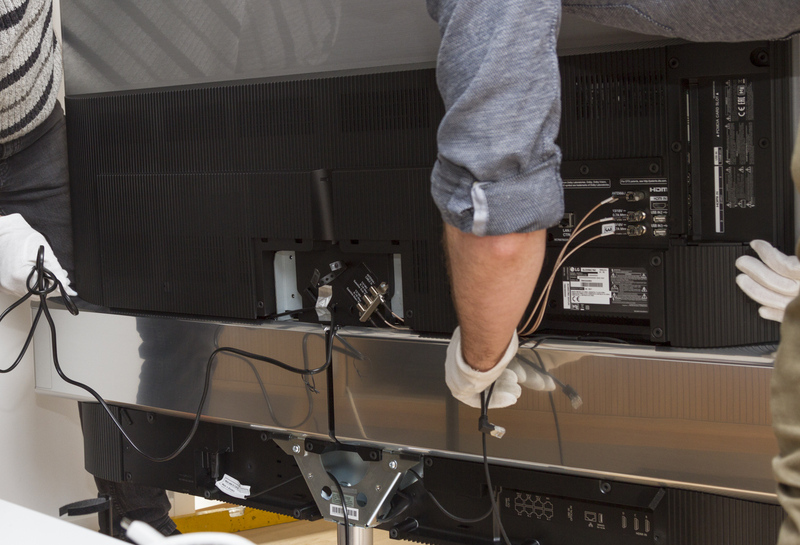 The antenna connection still routes through the LG TV so you need to remove the back compartment to gain access. 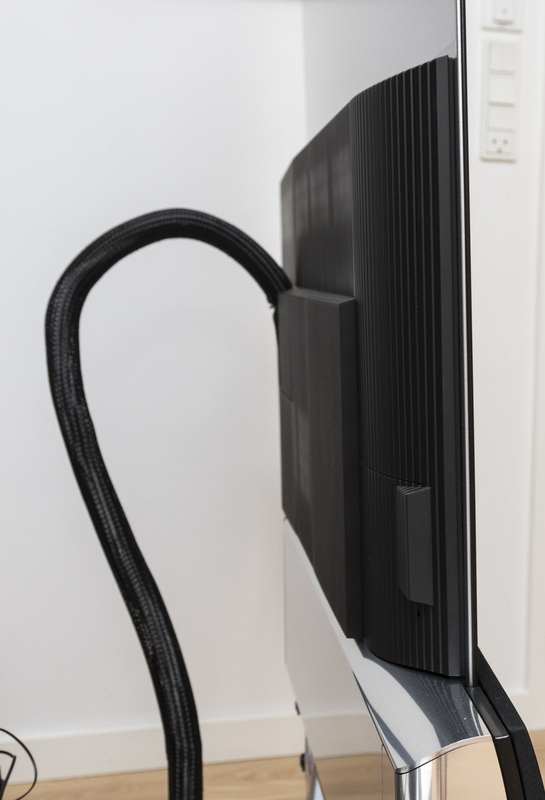 The cables can then be routed through a cable panel, which is located in the center of the TV. 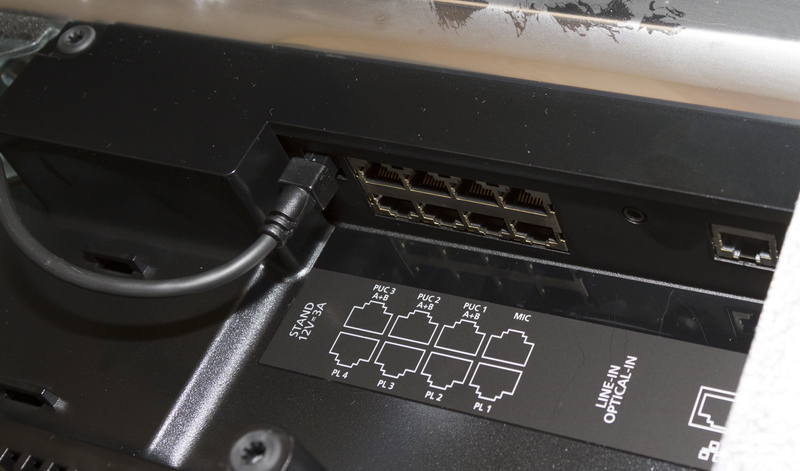 The rest of the connections are found below the TV in the form of 4 HDMI ports, audio ports for external speakers (PowerLink), USB, LAN, and line-in. You can still use the input and output ports in the LG TV and rely on HDMI CEC controls but if you want to be able to control everything via the PUC system you should use the connection ports at the bottom. To connect a USB hard drive, you have to place it inside a compartment in the right side of the TV. However, there is not a lot of space on the 55-inch model so we recommend that you find either a large-capacity USB stick or one of the flat NAND hard drives. The 65-inch model has a little more space inside. Bang & Olufsen has also made room for an Apple TV box in the lower left part of the SoundCenter (when seen from the back), which is something that has carried over from previous B&O TVs. We had the TV placed on a motorized floor stand, which is more or less identical to the stand that came with BeoVision Avant a few years ago. The stand can turn around two axes, which means that it can move away from the wall towards you, and from side to side. This allows a lot more flexibility compared to just one axis of rotation, and the stand even takes the wall into account so you are free to turn the TV to your favorite position without having to worry. 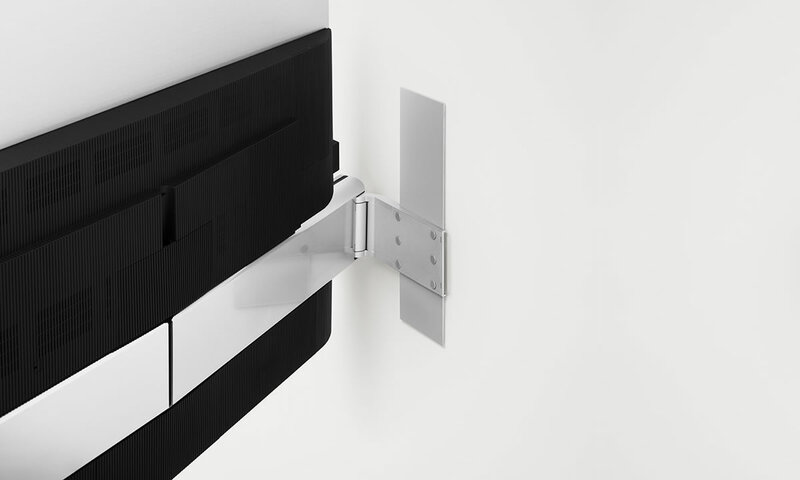 If you prefer to place the TV on a wall you can get a motorized wall bracket, too. 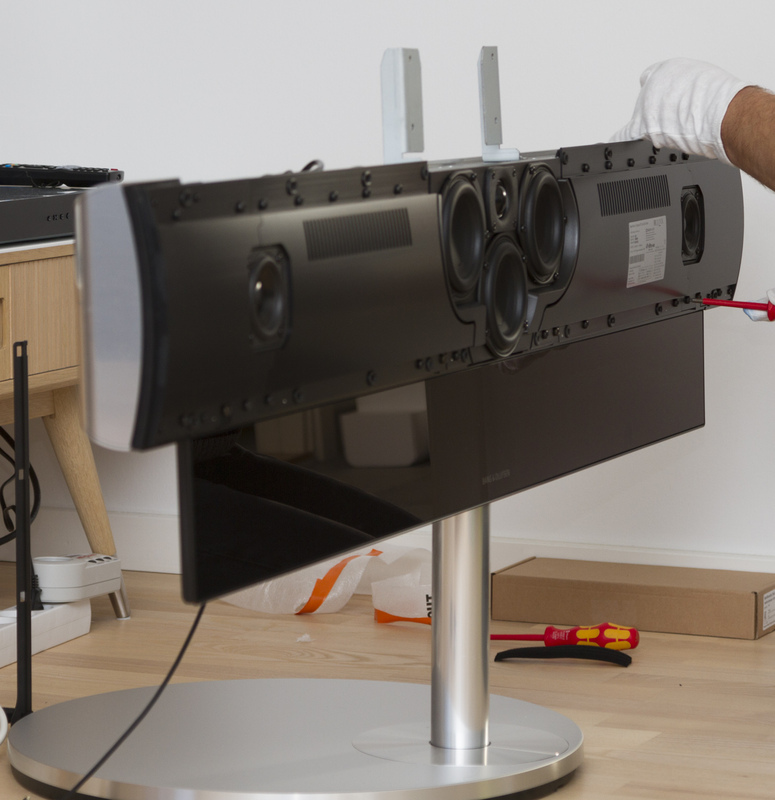 It is attached to the SoundCenter and allows the TV to swivel to any angle up to 90 degrees. Both the stand and the wall bracket are of very high quality are mechanical pieces of equipment that only B&O can make. As said, both are sold separately. Some have speculated whether Eclipse, with its modular core, may have been designed to be upgradable from year to year - whether it will be possible to pair a LG C8/C9 etc. in the future? This is not the case, according to the company. Eclipse will of course continue into 2018 and B&O and LG have made sure that panel will fit even in 2018 but the form factor of the LG TVs may change in the coming years, so don’t expect that you can buy a 2018 panel and connect it to a 2017 SoundCenter. So even if the BeoVision Eclipse remains, it will have to adapt to LG’s future platform. You cannot fit a new Samsung "QLED" LCD panel into the BeoVision Avant from 2015 either, so really nothing has changed in that regard. Like most other 2017 OLED TVs, the panel has a glossy coating but reflections are reduced to a minimum and the purple tint that affected last year’s panels is gone. 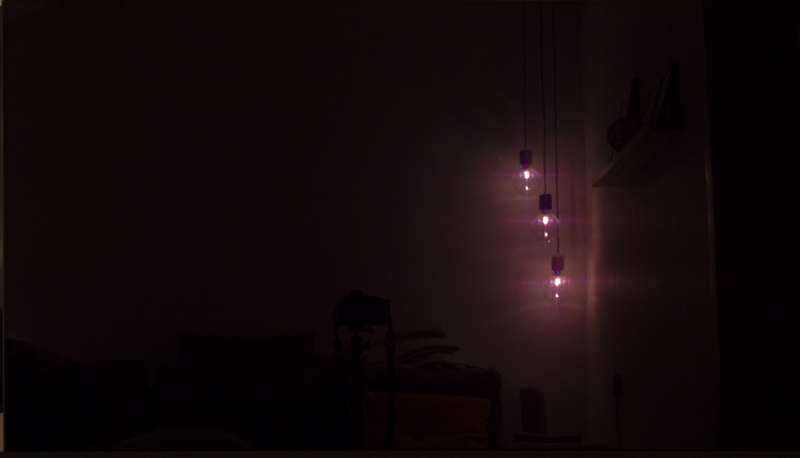 OLED panels are suited even for living rooms with lots of light sources. 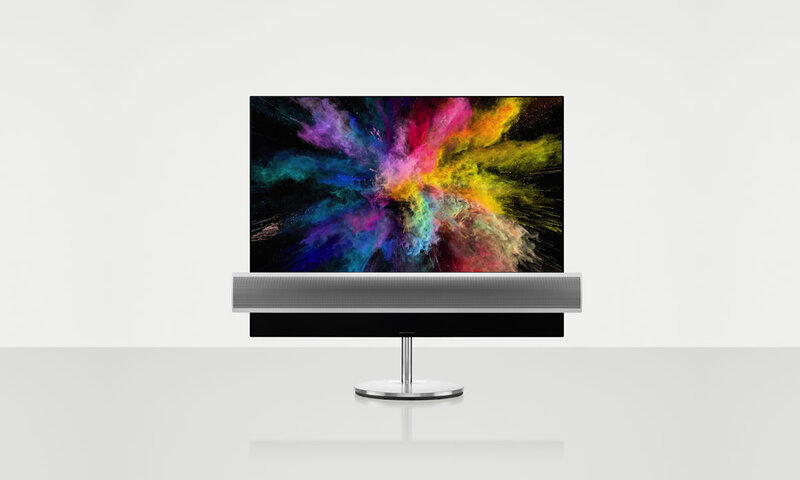 Bang & Olufsen is the first company to use the webOS platform outside of an LG TV, which naturally has to do with the fact that the OLED TV has been acquired from LG. This means that webOS is the latest 3.5 version. With the introduction of webOS, B&O’s TV line-up is now based on three different platforms (including Android TV), which is a mess. What the future brings for B&O is hard to say but we hope that the company will put all of its eggs into the webOS basket since it is, after all, the most stable of the three platforms. There are some differences between LG’s webOS and B&O’s version. One of the most significant differences is that the BeoRemote One does not have the motion sensor and the on-screen cursor that you get in LG TVs. The bean bird avatar has also been removed from all menus. 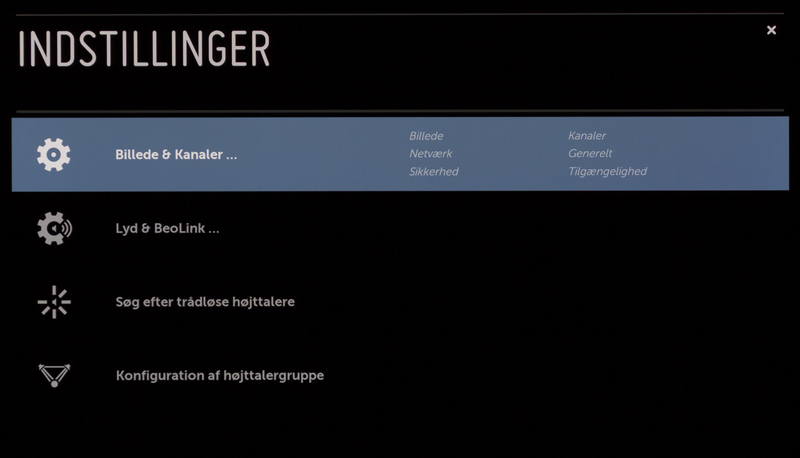 When you open the main menu, you get a setup menu based on B&O’s own menu structure that asks you to pair speakers etc. This menu takes the spot of LG’s "shortcut menu", which you would normally see when opening settings. It feels a little sluggish to navigate and open compared to the webOS menus. 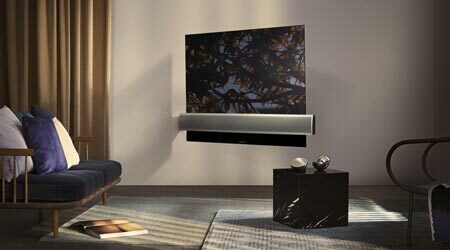 Bang & Olufsen has not managed to get its "screen curtains" implemented when turning on the TV. This is a shame because the curtains have defined a B&O TV for so many years. Ironically, Samsung has started implementing screen curtains. Bang & Olufsen is synonymous with good and advanced sound so there are lots of options in the menu to adjust the SoundCenter. From this menu you can set up a total of 16 connected BeoLab speakers (8 wired and 8 wireless) that can enter into a surround sound system or just fill your entire home with sound. The SoundCenter in Eclipse is a complete music system that also features Airplay, Chromecast Built-in, DLNA, Bluetooth, and Spotify Connect. In case you want to use it for music the screen stays off – or at least black – and only wakes up if you adjust the volume. If we disregard the styling and the added on-screen sound menu, the only way that you will know that you are using a B&O TV is from the look of it and by holding the BeoRemote One in your hand. Eclipse feels almost entirely like an LG product when jumping through the menu and apps. We will not go over all the feature of webOS here as we have already reviewed this year’s E7 and B7 models that also run webOS 3.5. We refer to our LG E7 review for more details on webOS. One detail that we noticed is that when bringing up the webOS bottom menu you normally have shortcuts to all your HDMI sources but on Eclipse there is now a list that you can scroll through on the remote control’s display. To switch to the HDMI port that i.e. 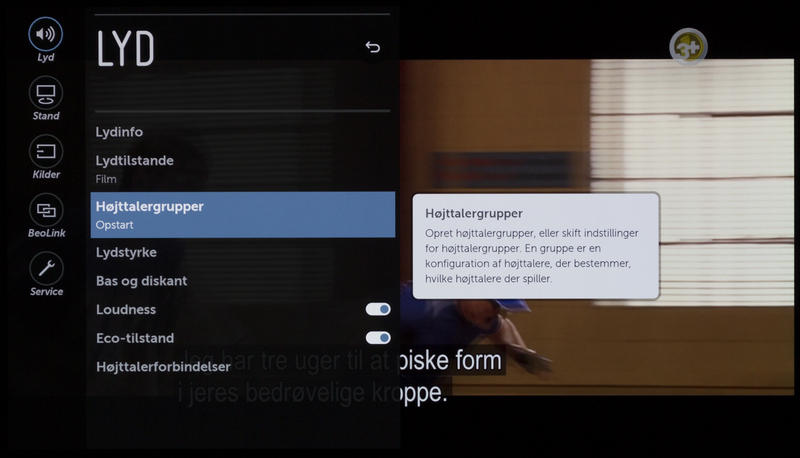 your Apple TV is connected to you can to configure it through the TV to synchronize with the remote. This also allows you to open any app directly from the remote just by scrolling through installed apps/HDMI sources and pressing the center button on BeoRemote One. 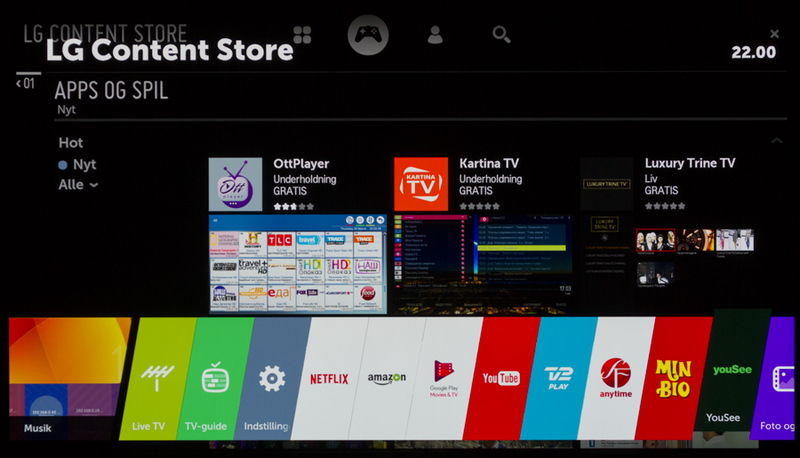 Some apps that are available through webOS on LG TVs are not available on Eclipse. 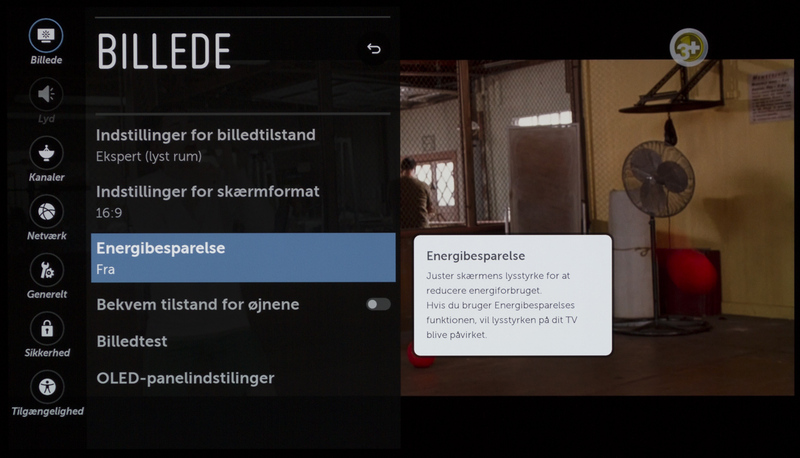 We miss several localized apps (Viaplay in the Nordics as an example). You still have access to Amazon and Netflix (that even have dedicated buttons on the remote). Lastly, we can confirm that Eclipse supports the HLG HDR video format and that it is fully on par with LG’s OLED TVs in terms of video format support (except for one detail, which we will get back to). Since we last saw the BeoRemote One it has been upgraded to Bluetooth and now connects wirelessly to the SoundCenter so you no longer have to point at the TV – even though this has not really been an issue in the past with B&O TVs. BeoRemote One also has a few added buttons in the form of Netflix and Amazon buttons at the top. These are truly a disgrace on such an elegant piece of hardware. The previous version is still available and comes without these hideous buttons but you have to buy it separately. 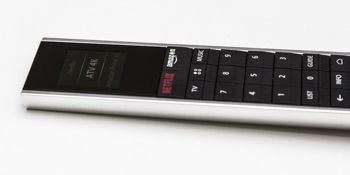 We have criticized this trend of putting dedicated buttons on a remote several times in the past and they simply don’t belong there – "Netflix recommended" or not. 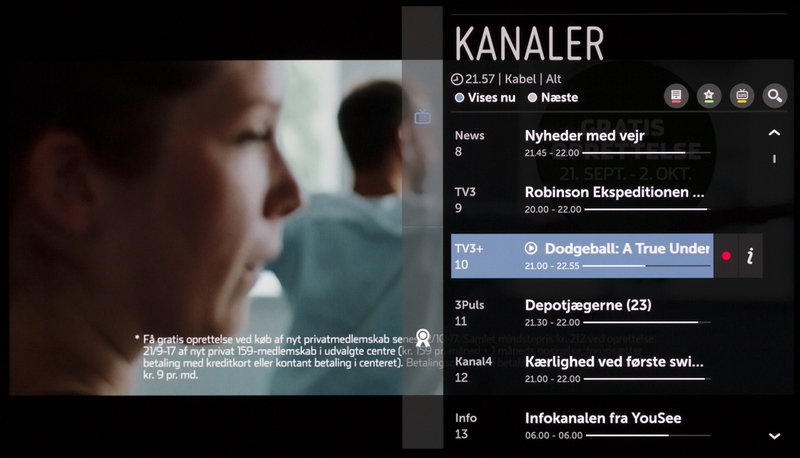 Not only are they ugly, the buttons are also completely redundant since the two apps are already available from the list that you get on the remote control’s display by pressing the ‘TV’ button. There are some other minor changes but overall it feels identical in your hand, and it is still the best remote control in terms of quality feel and build quality on the market. Personally, I think that it has too many buttons – especially compared to Samsung’s new remote – but the quality is top notch. 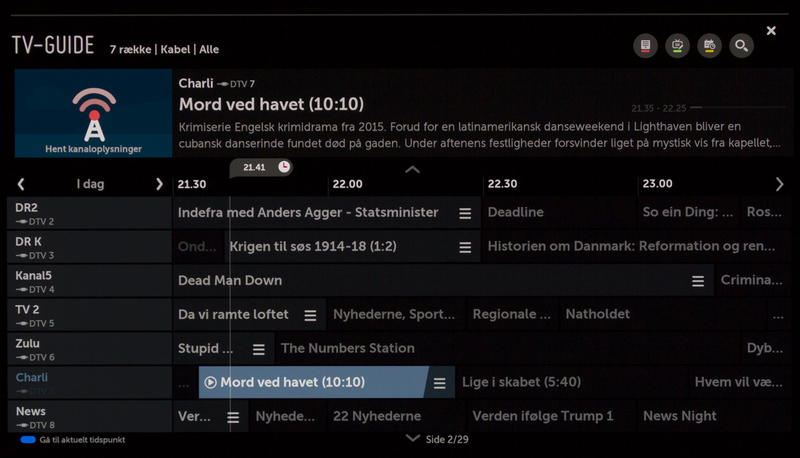 I criticized the previous version for not have tactile markers anywhere on the buttons and it seems that our criticism has made it to Struer in Denmark because there are now horizontal markers on some buttons, which makes it easier to use the remote in the dark. Thanks! BeoRemote One is equipped with an OLED display (yes, all-on on OLED) at the top in which you can place shortcuts to input sources and apps as well as some additional sub-menus for each input. The information on the display synchronizes with the TV so if switch input source or add new apps, the remote will update accordingly. Another of B&O’s signature features is the option to connect external IR blasters to other equipment and control it (via the PUC system), ranging from UHD Blu-ray players and media players to set-top boxes. HDMI CEC has become much better but there are still some limitations and quirks. B&O’s implementation extends further than HDMI CEC since it is also based on an archive of IR commands for a range of devices that you load directly into the TV to let it know what you have connected. In this way, the interaction between the TV and external devices feels like it was an integrated unit. It feels like a Logitech Harmony system with a much nicer remote and an interface build directly into the TV. It also gives feedback from HDMI ports so that the TV will know if a device is on or off. B&O is still the king of these integrated solutions when it comes to TVs. The TV guide and everything related to how you surf through TV channels is identical to LG E7 and B7, so we will not go over all of this again apart from saying that the TV Guide is still an app that has to load every time you turn on the TV and that Eclipse is equipped with a dual tuner for recording. Because sound is such a big part of Eclipse we will instead dedicate this section to talk about the speaker system. SoundCenter is one of the big reasons why you would pay a premium for Eclipse compared to the LG C7. The speaker bar consists of 6 speaker units that make up a 3-channel sound space with a total effect of 450W output. There is one amplifier for each unit. In the center you see 3 mid-tones / bass units and one treble, and in each side you see a full-tone unit to deliver stereo perspective. If this isn’t enough you can connect a total of 16 speaker units, of which 8 are wireless and 8 are wired. This will bring the total up to 19 discrete sound output points. SoundCenter is also equipped with a 7.2 surround processor and an automatic feature to up- or downmix 1 to 16.5 channel sound, meaning that regardless of the audio input you feed into the TV, it can adapt the feed to play on all speakers in your configuration. And let’s put it this way: The sound from SoundCenter is as good as they say. It is simply the best TV sound I have heard to date, and no other TV comes close. SoundCenter can easily stand alone as a speaker in even a fairly large living room. It is impressive how deep it can go, considering how small (and few) units are inside. If you compare it to some of the heavy hitters such as B&O’s own BeoLab 20 or 50 then you can obviously find even better sound but, to my irritation, SoundCenter delivers sound with better bass than my BeoLab 18. It is almost irrelevant to add that Eclipse without trouble outperforms any soundbar (and I’m sure tonmeister Geoff Martin would roll his eyes at the comparison but it is a relevant reference). 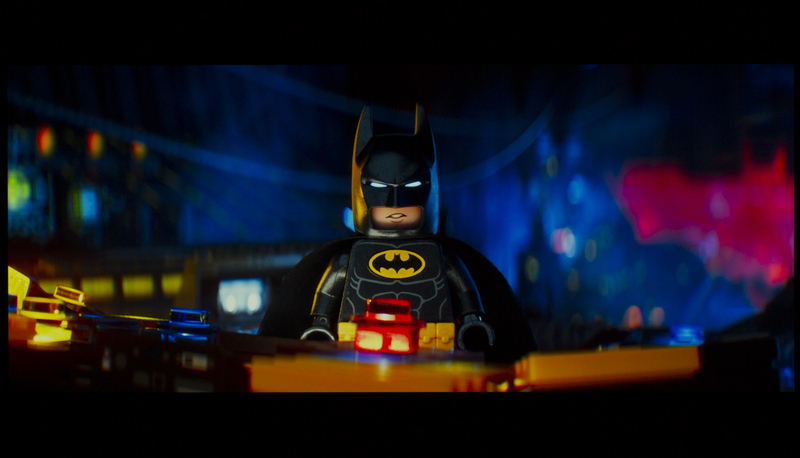 Vocals are reproduced clearly and explosions in movies are very powerful. On top of that you have built-in wireless audio protocols such as Airplay, Chromecast Built-in and Bluetooth, which makes a lot of sense for speaker system this potent. You can of course add a subwoofer such as BeoLab 19 to the setup if you want to improve bass in the sound space but the typical customer for Eclipse is perhaps more likely to own several external BeoLab speakers that can enter into the setup, and my opinion is that it is almost a must to expand the system to surround. If you simply want to use the Eclipse my preference would be not to add a subwoofer. The bass units in the SoundCenter are powerful enough for music and movies. The SoundCenter can also automatically adjust the speaker output, depending on the source, meaning that it will select 5.1 surround sound from your PlayStation, select your BeoLab 50 when you listen to music over Airplay, and just use the SoundCenter when you watch live TV. At the time of writing the SoundCenter lacks B&O’s adaptive algorithm to change sound preset (not speaker configuration but the "tone" of the sound) depending on the source but we are told that this feature will be added in a later update. Since Eclipse is based on an LG TV you have access to the same picture modes and picture settings from the menus. However, the companies have removed the icon for the ISF modes and renamed them to ‘Expert Light/Dark’. The TV’s default color mode is the ‘Eco’ mode, which is just a terrible as the ‘Standard’ mode so let the first thing you do be to switch to one of the two Expert profiles. There are so many things wrong with the Eco and Standard modes that you should be fined if you buy an OLED TV and just leave them in one of these. The industry should really stop using such terrible color modes when installing TVs at home. This is not specific for B&O but a general complaint about the TV industry. Like other LG OLED TVs that we have reviewed this year, the Expert mode is slightly too reddish but through some minor adjustments on the 2-point scale, we could reach 1 or lower dE values for colors more or less across the scale. It has become markedly easier to calibrate OLED TVs in recent years. 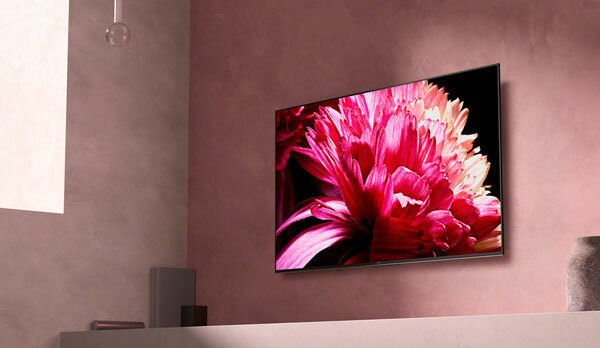 Like all other OLED TV panels, brightness is relative to the amount of bright objects in the picture. You can somewhat reduce the effect of the ABL circuit by decreasing the OLED Light setting. We measured DCI-P3 coverage of 96% and Rec.2020 coverage of 69%, which is more or less the same as other OLED TVs this year. We do not calibrate HDR but if you want to give it a shot the Cinema mode for HDR offers decent picture setting options. Depending on your living room environment you may prefer to use the Expert Light and Dark modes for day and night time use, respectively. You can adjust both according to our calibration suggestion above. There is plenty of brightness in an OLED panel to work in both bright and dark environments and OLED has perfect black even in a pitch-black room so you may want to adjust OLED Light. Eclipse is fundamentally an LG OLED TV when it comes to display panel and video processing, which means that you can expect great picture quality. 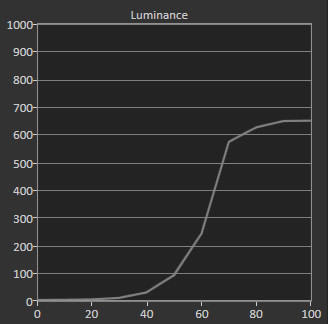 We measured peak brightness for HDR in the ‘Cinema (User)’ mode to 650 nits, which is more or less the same as Sony A1 but somewhat lower than on LG E7. Eclipse has a built-in ambient light sensor that cannot be deactivated so it may have affected things somewhat. 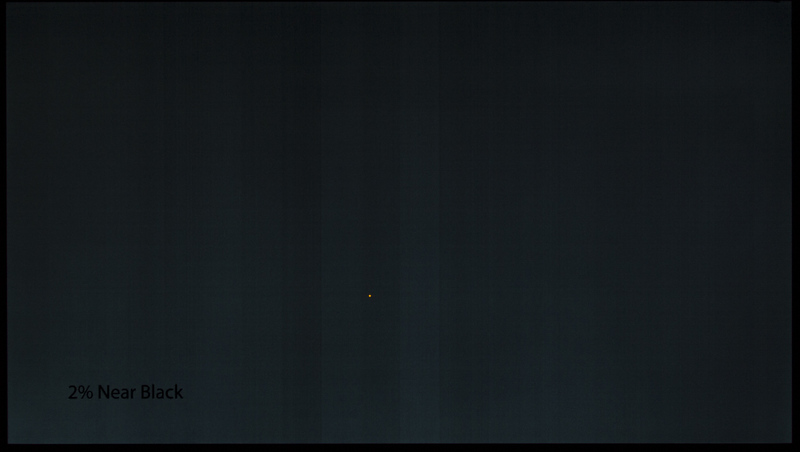 Higher brightness is not always better. It depends on your viewing environment. 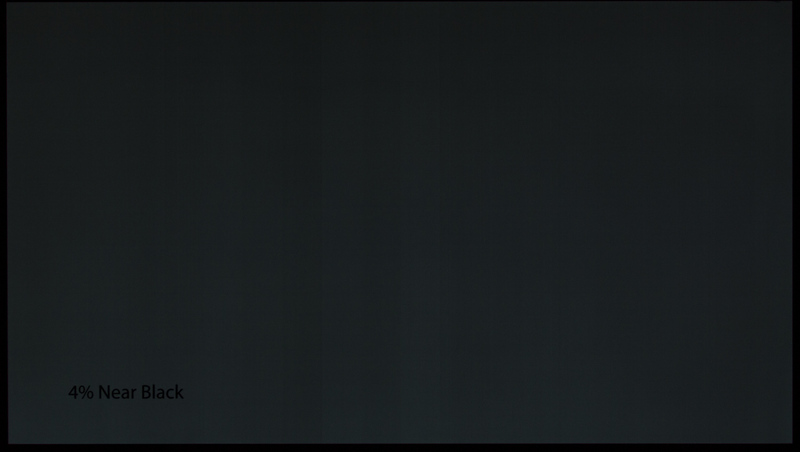 Eclipse covers around 96% of the DCI-P3 color space, which is more or less the same as other 2017 OLED TVs. You should remember to activate ‘HDMI Ultra HD Deep Color’ in the menu for each of the HDMI ports that you want HDR input from, including a PS4 Pro, Xbox One S, UHD Blu-ray players and Apple TV 4K. This setting is found under ‘sources’ inside the BeoLink menu. 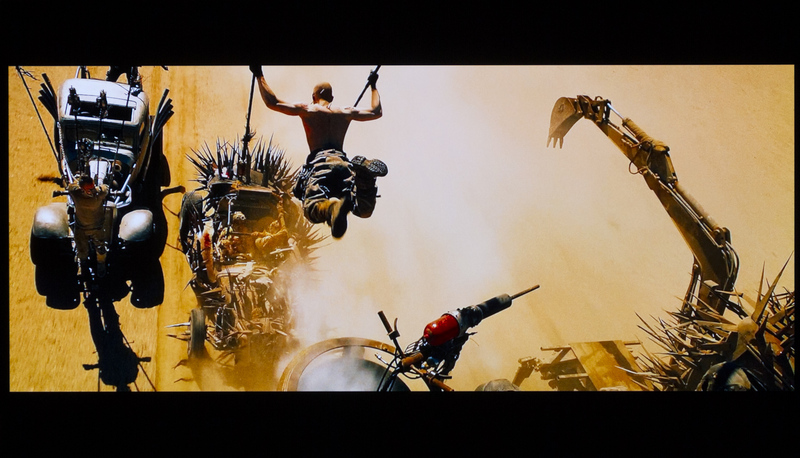 We had various HDR sources connected throughout the review including two UHD Blu-ray players (Panasonic UB700 and LG UP970) and Apple TV 4K as well as various streaming apps via webOS. Eclipse reproduced all steps of the grey scale without trouble and has no issues with black crush or missing details in highlights. On all accounts, we observed picture quality that matches other 2017 OLED TVs, meaning reference-class picture quality with pixel-level luminance and color controls. 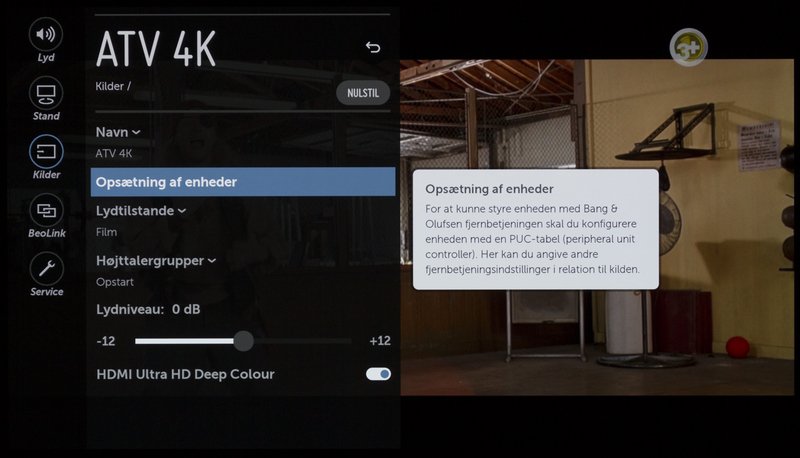 Eclipse supports Dolby Vision, which is a direct result of Bang & Olufsen having partnered with LG. 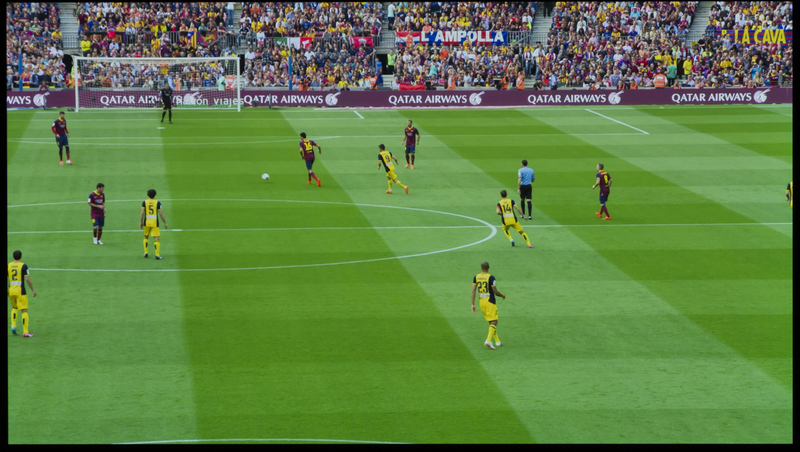 Dolby Vision is one of several HDR formats and it uses dynamic metadata to optimize dynamic range in video scene-by-scene, which is not the case with HDR10. 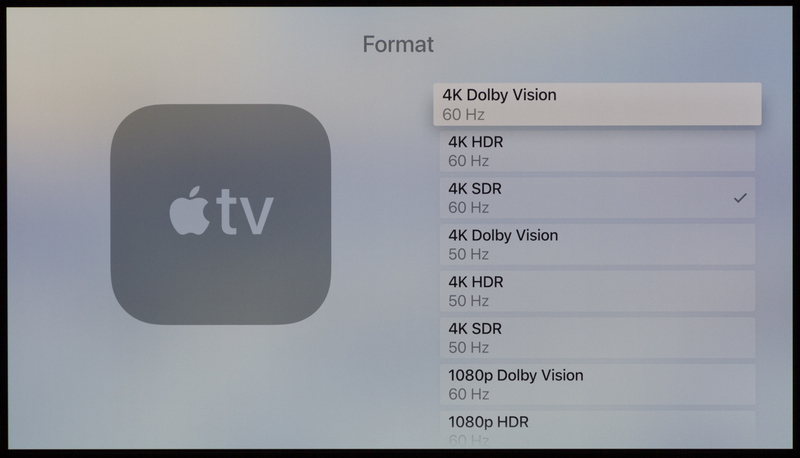 With the introduction of Apple TV 4K, the selection of content in Dolby Vision has increased drastically overnight as there are far more titles available in iTunes than on Blu-ray. 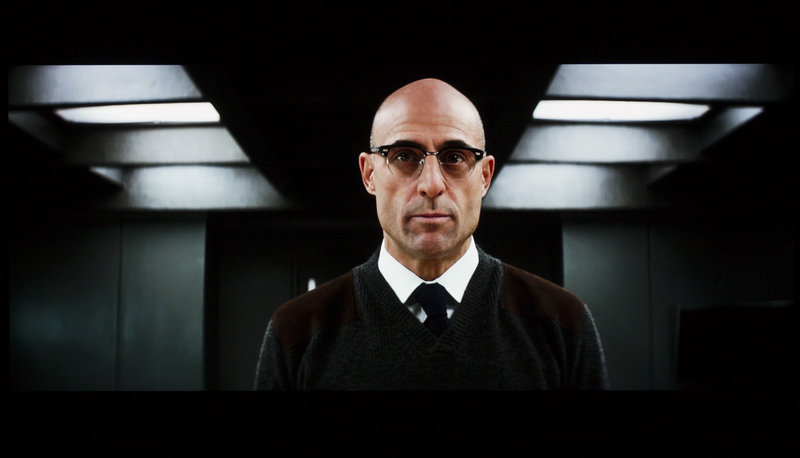 The difference between Dolby Vision and HDR is noticeable especially in scenes where there are plenty of details in the highlights. 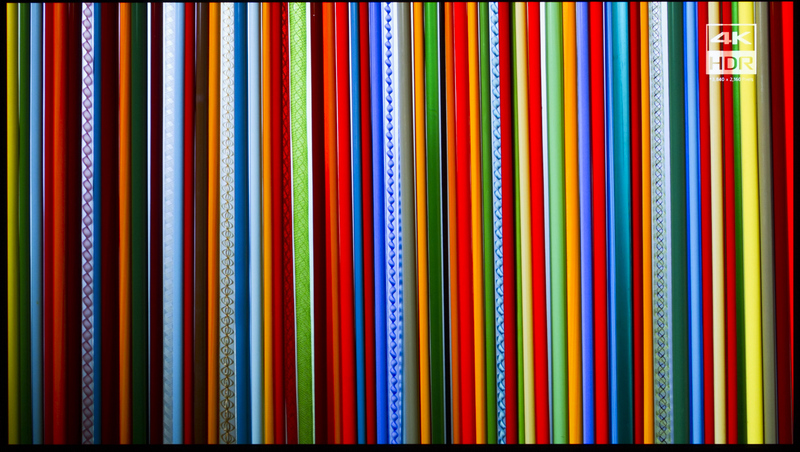 If HDR is important to you, you should prioritize Dolby Vision (or HDR10+ but it is yet unclear if it will be a market success). One important difference between the 2016 and 2017 models is that only the latter supports Dolby Vision in 60Hz via the HDMI port. No sources were available to test Dolby Vision at 60Hz last year so we did not discover this limitation of the 2016 LG OLED but it effectively means that Apple TV 4K can run in Dolby Vision only on the 2017 LG models (and therefore also Eclipse). For more details you should read our Apple TV 4K review. With the amount of content that is coming out we believe that B&O has made a wise choice to bet on Dolby Vision. 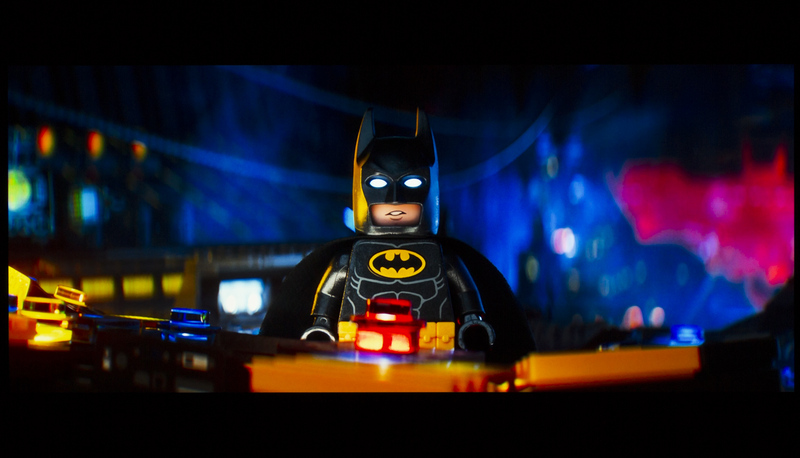 Below you see The Lego Batman movie via iTunes in SDR and HDR, respectively. It is not possible to fully capture the expanded color gamut and luminance range on a photo but the comparison should give you an idea of what HDR adds to the viewing experience. Notice how colors are more accurate and saturated and how highlights (eyes, reflections) are more sparkling. It should be noted that our sample of Eclipse did not have VP9 Profile2 activated, meaning that we could not watch YouTube in HDR. This is odd because it worked on the Eclipse sample showcased at IFA. 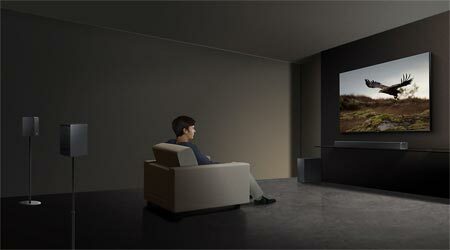 Bang & Olufsen is examining the issue and since this is an LG TV it should be technically possible to enable it. Fingers crossed. The upscaling engine is LG’s so Eclipse reproduces SD and HD content the same way, meaning not 100% on par with Sony’s X1 Extreme processor or Panasonic’s HCX processor. However, one of the advantages of an OLED panel is that the inherent picture characteristics can be enjoyed across all types of content. You always get the extremely deep blacks and clear colors. The motion engine in Eclipse is also LG’s and it is not fully on par with Sony’s or Panasonic’s either. The ‘TruMotion’ system should be deactivated as introduces motion artefacts even at the lowest setting. I should perhaps also repeat one point regarding motion on OLED panels. OLED behaves slightly different than LCD and plasma because the response time (the time it takes to switch from one color to another) is so low that the motion blur you would see with any LCD panel is no longer present. 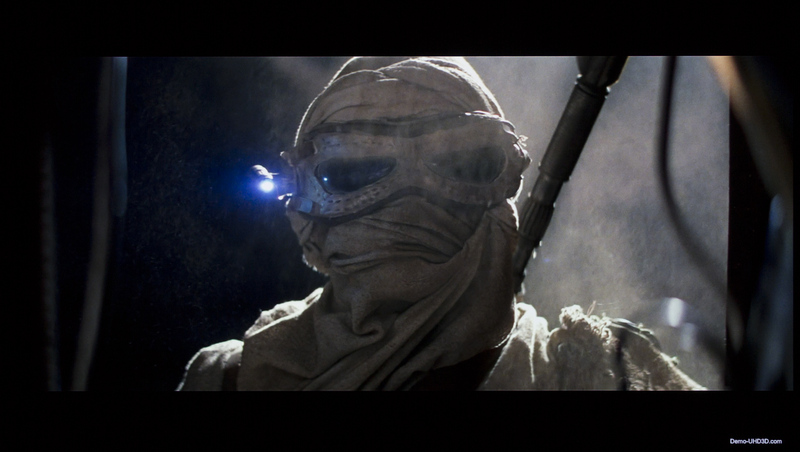 This means that content shot at low frame rates, i.e. 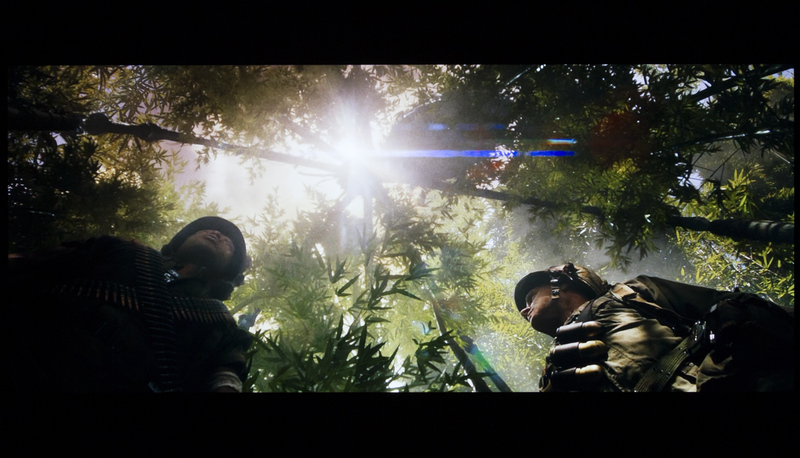 movies at 24fps, tend to have a sort of strobe effect in the very brightest scenes of 1080p24 content. That is why we had hoped that TruMotion would give us some flexibility to adjust things. All OLED TV panels that we have tested to date have suffered from some inhomogeneity issues at the very darkest grey tones. On IRE 5 patterns and below we noticed vertical banding with test patterns. Our sample of Eclipse has two visible bands that could be seen up to around 15 IRE. These things tend to vary from panel to panel. 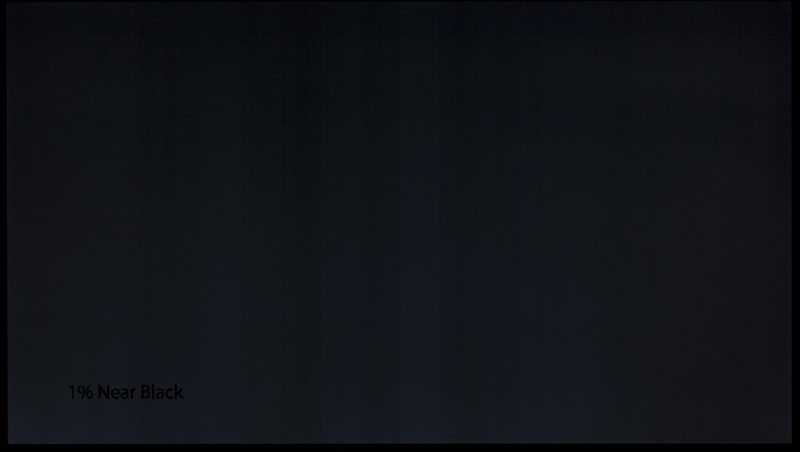 Just because you pay extra for a B&O TV, the OLED panel can still suffer from this. It is not something that you will usually see but the fact remains that OLED panels still have some homogeneity issues very darkest grey tones. We did not notice any noteworthy issues with color tinting. If we looked very closely we could see a red tint in the top part of the panel but only on test patterns and never with real content. We did not spot any issues with burn-in or retention during our review but there was a dirty spot in the lower left part of the panel that disappeared after the panel wash mechanism was initiated. We do not stress test panels for burn-in but do not take any precautions either. It is possible to provoke retention on all types of self-illuminating display panel technology if you just leave static elements on the screen long enough. We know that other sites have started testing the long-term effects of having static content on the screen and some owners have also reported retention (meaning something temporary). The TV automatically starts a panel-wash program when off to remove retention. We measured input lag to 21 ms in the Game mode, confirming that the SoundCenter does not add any delay. This makes the TV one of the fastest on the market and makes it a good companion for a game console. Input lag is considerably higher in the Expert modes. An increasing amount of console titles are released in HDR and with OLED it helps take the gaming experience on level up. Eclipse with its low input lag paired with a PS4 or Xbox One S (or X) is a great choice. The only downside is that the picture settings options in the Game mode are still limited so colors are somewhat off. This is a shame because for example Panasonic offers the full range of settings even in the Game mode. Viewing angles on OLED are extremely wide and we spotted no issues. In the past, Bang & Olufsen’s motorized stand could offset LCD’s poor viewing angles somewhat but that is no longer relevant with OLED. 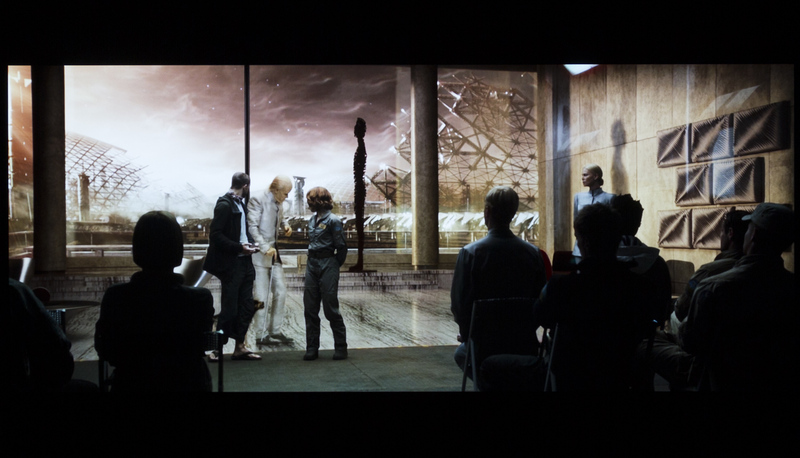 You can view the panel from practically any angle. However, the motorized stand will still ensure that sound is directed towards the viewer and it is nevertheless just a cool feature to have. BeoVision Eclipse is Bang & Olufsen’s first shot at an OLED TV and they have partnered with one of the heavy hitters in the business, namely LG. 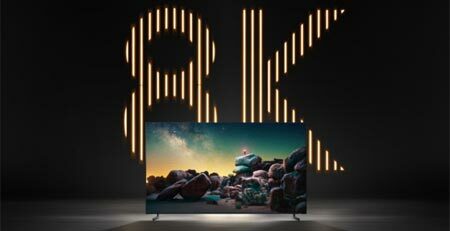 Together, the two companies have developed a TV that offers the same great picture quality as an LG OLED TV based on the same webOS platform, and combined with B&O’s sound expertise and multi-room system. This translates into reference-class picture quality, with perfect black, pixel-level luminance control, and support for Dolby Vision, HDR10, and HLG. When you on top of that add the market’s best TV sound, the option to expand to wireless 7.1 surround sound, elegant HDMI CEC + IR control of external units, audio streaming based on several wireless protocols, and a complete sound system for you living room, you have, with Eclipse, a TV that stands out from the crowd. 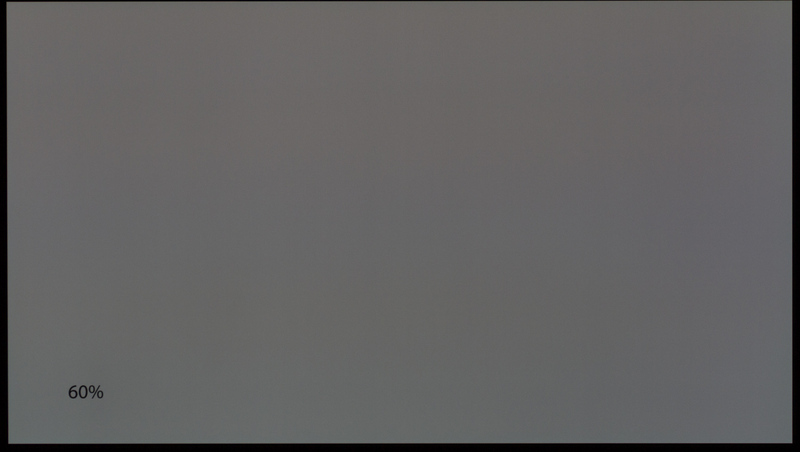 BeoVision Eclipse is not problem-free and like other OLED TV panels it suffers from vertical banding in the darkest grey tones. Peak brightness is not high enough to match the brightest LCD TVs yet either. Still, we are happy to sacrifice a little peak brightness for the OLED technology’s many other advantages. We also have to address the debate regarding the price tag and what you get for your money. Because Eclipse is expensive. Bang & Olufsen products usually are. The problem with Eclipse is that we know the exact price of the separate TV mounted on top of the SoundCenter, which leaves a large sum for the rest of the features that B&O has added - especially in the 65" version. Besides the missing screen curtains, Eclipse feels like a Bang & Olufsen product in day-to-day use and the choice of LG’s webOS is certainly not a downgrade from the platforms previously used in B&O TVs. You are not left with the impression that you have bought an LG TV (should not be perceived negatively – just that it’s cheaper) in an expensive shell. So, to round off the value-for-money debate, BeoVision Eclipse appears to be a bit too expensive, mainly the 65" model, despite delivering the best TV sound you can buy and the most comprehensive package of connection options, and despite delivering the market’s best picture quality (along with other OLED TVs) and the best remote experience. All things considered, it scores the highest for any TV that we have reviewed to date. We had probably just hoped that the partnership with LG would have resulted in a cheaper product. Nevertheless, you can try to explore the market for alternatives from competing brands but you will not find one that can match Eclipse on all parameters. Even if you want to try to buy the parts separately to match the picture, audio, wireless surround, music streaming options, and operation, you will need to buy products from at least 3-4 different manufacturers. If you want everything in an integrated solution then there’s only Eclipse.